Abry Partners has made an investment in Framingham, Massachusetts-based Dr. Dental Management, a dental management service organization. No financial terms were disclosed. BOSTON–(BUSINESS WIRE)–Abry Partners (Abry), a Boston-based private equity firm, today announced that it has completed a strategic investment in Framingham, Mass.-based Dr. Dental Management, LLC (Dr. Dental), a dental management service organization that provides comprehensive management and administrative services to Dr. Dental-branded offices. Dr. Dental has a unique playbook for growth, successfully scaling the company exclusively through new site openings to become one of the largest dental management service organizations in New England, with 100 active dentists treating over 250,000 patients a year. With this infusion of capital from Abry, Dr. Dental will continue to expand organically by opening new locations but will now also target strategic acquisitions of dental practices and groups throughout the Northeast. Dr. Dental was founded in 2004 by the brother and sister team Alex Faigel, CEO, and Dr. Julia Faigel, DMD, clinical director, with the mission of providing quality dental care and great service at a lower cost in convenient neighborhood locations. The organization has grown from a single location to now 44 locations with 250 operatories throughout Massachusetts, Connecticut, New Hampshire and New Jersey. The Dr. Dental management service organization supports its patient-care locations in all non-clinical aspects of dental practice, including staffing, patient scheduling, billing and collections, financial reporting and analysis, group purchasing, payroll, marketing, education and training. This suite of services enables affiliated dentists to focus exclusively on delivering high-quality patient care, making Dr. Dental one of the leading brands as measured by patient satisfaction in the Northeast. The funds will also be used to hire additional management and administration staff, and expand marketing and brand awareness for Dr. Dental and its affiliates. Dr. Julia Faigel and Alex Faigel will continue in their current management roles and run day-to-day operations. Headquartered in Framingham, Mass., Dr. Dental is a leading Dental Management Service Organization (“DSO”) in New England. Dr. Dental has 44 branded locations across four states (Connecticut, Massachusetts, New Hampshire and New Jersey). Dr. Dental is focused on providing quality and affordable care for all and has established itself as a leader in patient satisfaction. For more information, visit www.mydrdental.com. Abry Partners is one of the most experienced media, communications, and information services sector-focused private equity firms in North America. Since its founding in 1989, the firm has completed over $80 billion of transactions, including leveraged buyouts, growth financings and recapitalizations. Currently, Abry manages over $12.0 billion of capital in its active funds. 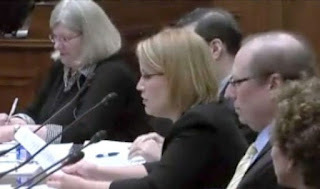 Dr. Ellis, an orthodontist in Dallas, testified before a congressional committee in Washington in April 2012 about alleged Medicaid fraud in orthodontic billings by Texas dentists. Ms. Castillo was an employee of the now-defunct All Smiles dental chain and West Texas Dental. Ms. Morales was a former employee of the now defunct All Smiles dental chain and Rodeo Dental. suit are the same as those underlying the whistleblowers’ previous filings. expended approximately $1.1 billion on orthodontics under the Texas Medicaid program. the Texas Medicaid Fraud Prevention Act will be held accountable. Dr. Ellis, Ms. Castillo, Ms.
the 53rd Judicial District of Travis County, Texas. Xerox Corporation and its former subsidiary, Conduent, agreed Tuesday to a record $235.9 million settlement with the State of Texas, according to the Texas Attorney General's Office. It was the largest single Medicaid fraud-related settlement in a case filed by the Texas Attorney General. The settlement comes after a three-year WFAA investigation that uncovered millions of dollars in alleged overbilling by Texas dentists targeting low-income children for unnecessary and often harmful dental and orthodontic work. Smiles 4 Kids, which had been purchasing many old Small Smiles clinics and Kool Smiles are both now operated by Tailwind Capital. Lone Peak is Smiles 4 Kids as well as a few other names. Financing for Benevis's sale to Tailwind seems to be, in part, by New Mountain Finance and happened during the 1st quarter of 2018. Probably before the ink on the Kool Smiles settlement was dry. Our new investments were highlighted by a larger-size directed origination of a unitranched loan for Benevis, several club deals including a loan to ACA Compliance and one addition to both our net leased portfolio and our SBIC investing program. We believe that the consistency of our deal flow in this competitive market shows the strength of the broad sourcing network that we have built. In their 2018 holdings report, Washington State Investment Board is invested is Tailwind and New Mountain. Although Benevis still shows up on FFL Partners website's portfolio page, it is listed under the "Former" tab on their website. The heartbroken family of a 2-year-old boy who died after a visit to the dentist last year is suing the Arizona clinic, claiming that a staff member repeatedly muted the alarm on a heart monitor that he was hooked up to, and that the oxygen tank he was supposed to be receiving supplemental air from was either faulty or empty. According to the family’s lawsuit, while under general anesthesia Zion had nine of his baby teeth worked on, including root canals and crowns on six of them. The complaint alleges that X-rays or further investigative exams were not conducted to confirm that the nine procedures were necessary. IRVINE — Sixty-five families whose children were infected by rare bacteria when they underwent pulpotomies, or “baby root canals,” at an Anaheim clinic two years ago filed a lawsuit Wednesday, Jan. 16, naming the clinic, its operators, the company that installs and maintains water filtration systems, and several dentists. The lawsuit, which was filed in Orange County Superior Court in Santa Ana, alleges that Children’s Dental Group and dentists who provided services there performed hundreds if not thousands of unnecessary pulpotomies on children. Potentially deadly Mycobacterium abscesses was found in several samples the county’s Health Care Agency took from the clinic’s water system. The children, ages 3 to 9, all underwent pulpotomies at the clinic between April and July 2016. In all, 500 children underwent the procedure during that time. Children’s Dental Group has since become part of Western Dental. The clinic in question on East Lincoln Avenue is not owned or operated by Western Dental, but has changed hands. So far, 150 families have filed lawsuits against the clinic and the number is expected to grow, said Dan Hodes, Irvine-based medical malpractice lawyer who is representing the children and their families.